Although American culture doesn’t necessarily treat alcohol like a drug, it, in fact, is. And there are times when it may remain a good idea to shine light on alcohol as a drug, and – appropriately – April is Alcohol Awareness Month. According to the Centers for Disease Control and Prevention (CDC), excess alcohol abuse can lead to serious health problems . . . not to mention the psychological and emotional toll alcohol abuse takes. Defined as drinking 5 or more drinks on an occasion for men or 4 or more drinks on an occasion for women, binge drinking – according to the CDC – can lead to liver problems, violence, injury, or even cancer. 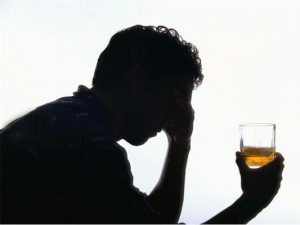 Binge drinking, in short, is a behavior that can cause serious personal and societal harm. • Unintentional injuries such as car crashes, falls, burns, and alcohol poisoning. • Violence including homicide, suicide, intimate partner violence, and sexual assault. • Unintended pregnancy and poor pregnancy outcomes, including miscarriage and stillbirth. • Fetal alcohol spectrum disorders. • Sudden infant death syndrome. • Chronic diseases such as high blood pressure, stroke, heart disease, and liver disease. • Cancer of the breast, mouth, throat, esophagus, liver, and colon. • Memory and learning problems. Northeastern Pennsylvania has a high incidence of binge drinking. Put simply, Northeastern Pennsylvania’s high incidence of binge drinking should cause alarm. Zooming out, the CDC has found that U.S. adults consume a total of 17 billion binge drinks annually, so – although the rates for binge drinking in Northeastern Pennsylvania remain high – the binge drinking rate remains high across the United States, which is why shedding light on the problem of binge drinking during Alcohol Awareness Month is noteworthy. As noted above, Alcohol Awareness Month remains a good time to call attention to the problem of binge drinking, particularly in Northeastern Pennsylvania, a region where binge drinking among adults remains prevalent. If you or someone you know is suffering from alcohol abuse, contact a credentialed professional immediately.